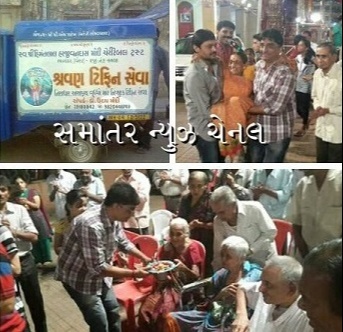 Founder of shravan tiffin seva for Elderly people in Mumbai. 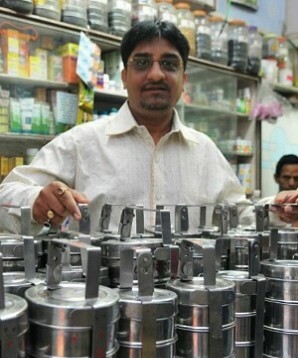 Dr. Uday Modi is an Ayurvedic doctor who cares for the poor in Mumbai. There are those who call him Dr. of Hope. For the elderly Bhayander is the only hope for survival. His profession brings him to know closely the reality in which his patients live. Dr. Modi is deeply moved by the precarious situation in which hundreds of abandoned elderly people live across the length and breadth of Bhayander in Mumbai. "There are many cases of malnourished elderly people in my practice who don't even have a roof over their heads," says Dr. Modi. Dr. Modi decided to start a systematic campaign to feed the abandoned elderly: "ONE day ONE service of tiffins”. The task is not a simple one as the food costs amount to 3 lakh per month and are paid from Dr.'s own income. 200 tiffins containing chappatis, curry, dal, and rice are packed every day. The distribution is done through vans and volunteers. Dr. Modi is a very dynamic person, not only as a doctor but also as an actor. He says that the income he receives from his artistic activities allows him to subsidize the feeding program for Bhayander's elderly. In addition, a growing group of volunteers collaborates every day with the SEVA to make the initiative grow. For Dr.Modi, feeding the elderly is only the first step. His most desired project is the construction of a Complete Care Centre for the elderly: "I want to build a Dikra nu Ghar for these elderly people. A place where the elderly receive comprehensive care and not just be fed”. Dr. of Hope established his home as the headquarters of Shravan Tiffin Seva where he carries out his solidarity activities. In his house, he prepares the more than 200 tiffins that are distributed every day among the elderly of the streets. As a doctor, Dr. of Hope knows that the elderly require special care in the preparation of their food. That is why he classifies food according to the most common pathologies: Diabetes and hypertension fundamentally. Food for diabetics is cooked in a separate kitchen. Dr.Modi personally tests the food before it is packaged, thus guaranteeing the quality of the tiffins that will be distributed. It is a 24/7 job. There is no holiday, no sick leave, not even for damaged vehicles. The elderly depend on the tiffins we distribute every day. "If the tiffin is missing, the elders in the program don't eat all day. We can't fail," says Dr. Modi. Dr. Uday Modi points out: "The task is delicate when it comes to elderly people in a state of abandonment, not only are they hungry, they also suffer from chronic illnesses that must be taken care of". That is why Dr. of Hope is working hard to find funding to build a space to care for the abandoned elderly. The Shravan Tiffin Seva initiative requires expansion. Every day the number of abandoned old people increases and it is necessary to redouble efforts. In the streets, the vans distribute food to the elderly who are being served by the program, but there are still many older people who need care throughout Mumbai. They need spaces to protect themselves from the abuses and dangers that threaten them on the streets. In addition, the inclement weather takes the lives of dozens of abandoned elderly people each year. The Monsoon season is especially strong because the flu and pneumonia attack the weakened organisms of the elderly and if they are malnourished they become precarious victims during the rainy season. Dr.Modi's commitment is to build Dikra-nu-Ghar so he has intensified his efforts to spread the awareness campaign. The objective is to join wills so that people and institutions that wish to collaborate with the initiative can make their contributions in any way. It requires a suitable space and the construction of the building, is a monumental effort. Dr. of Hope is the angel who protects hundreds of elderly people from hunger. His initiative took its first steps ten years ago and began with two elderly people in a precarious situation. Ten years later, it is estimated that food saves about 500 elderly people in Mumbai from hunger. Dr.Modi began his work with few resources and deep spiritual strength. His initiative became a hope for the abandoned elderly and a motivation for those who wish to contribute to the construction of a more humane society. Dr. of Hope reaches the hearts of the underprivileged and, together with his family; he adds more hearts day by day to the noble cause of protecting the abandoned elderly of Mumbai.